Why would you build a site for mobile devices? After all modern mobile devices display sites pretty well these days, don't they? Mobile sites makes it easier for a customer to call you. Consider this scenario: Your site comes up in the search engines and a potential customer clicks on your site. If the customer is using a phone, it’s really easy to call from a contact page. If the customer just sees your regular website he may email you or he may just move on. Check out these Top 10 minimalist WP themes. Free review of your website. Urbanic - free HTML5 website template from Template Monster. Dragonfruit - designed by jQuery and HTML5 Bootstrap. This layout features a variety of different sections for events and timeline. Grill - free restaurant website template, bootstrap responsive HTML5 layout. It includes image slider, product categories, blog post, comments, maps and contact form. Nova - multipurpose html template based on twitter bootstrap 2.3.x. This template comes with 16+ ready pages. 100% premium quality and ready to use. Sprint - free HTML5 template on responsive bootstrap framework. Green, black and white colors are used in a perfect combination. Xenon - free HTML5 responsive website template, attractive diagonal shapes, red, blue, brown and white colors, portfolio gallery. 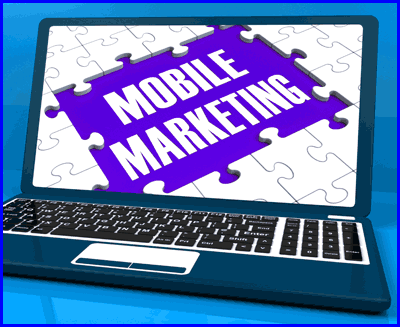 Build a mobile website for mobile devices & make it easier for customer calls. A mobile site makes the most of limited space & feels like a native application. Eliminate user zooming in to read your page. 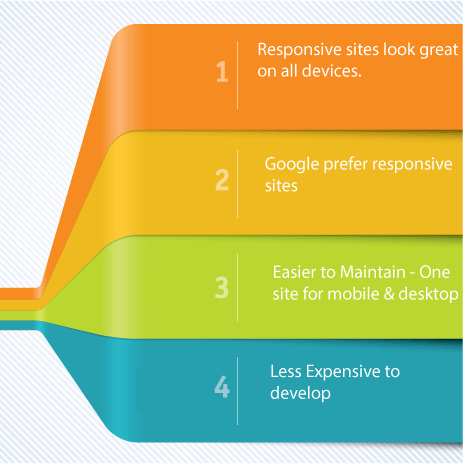 Google prefers responsive websites but a separate website for mobile is still acceptable. The downside is you have two websites to maintain. Google may also be suspicious of serving different websites to some viewers as this has been abused in the past. 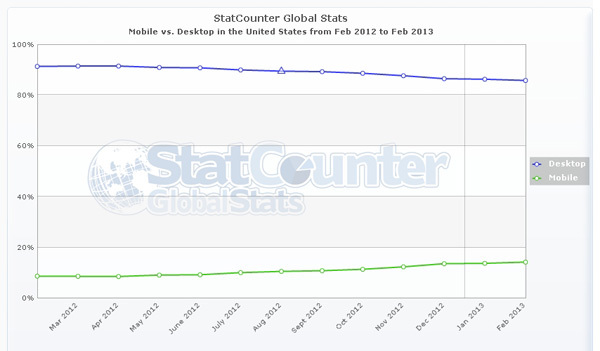 StatCounter GlobalStats shows mobile browsers with a 14% share of the market compared to the desktop share of 86%. StatCounter statistics for individual sites may show another story altogether. Mobile browsers are responsible for 51% of my hits on one of my client’s sites with reliable statistics. If your site gets considerable traffic from mobile browsers, you should consider a mobile site. Mobile traffic is on the rise so you don?t want to miss opportunities using an inadequate site. Many companies present a special site to your mobile browser. Usually these sites are prefaced by m. rather than www. For example https://www.facebook.com/ gets converted to https://m.facebook.com/ on your phone. Most sites will still let you choose the full site if you prefer. 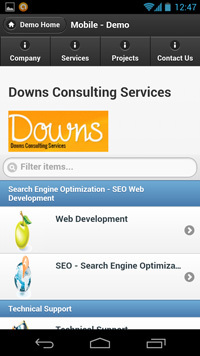 Downs Consulting Services can help you create a special site for your mobile visitors. Alternatively, you can use a responsive websites display well on desktops, smart phones, and tablets. This will save you maintenance time in the long run.